Just this past March, Fearless Fred switched from mornings on 102.1 the Edge back to afternoons and a new morning show of Dominik Diamond, Josie Dye and Greg Beharrell took over. Now it seems Fearless Fred is back taking care of the morning shift with co-host Melani and Josie Dye has been moved to 2pm-6pm. Greg Beharrell has moved out west and Dominik Diamond is MIA. For 25 years the 102.1 morning show was anchored by Humble and Fred and then Dean Blundell, but since Dean's dismissal, there's been a bit of back and forth. We'll see if Fearless Fred (who claims to really, really hate me) sticks this time. I wish him luck. FM 90.3 CKMP in Alberta has switched to a format they call QuickHitz where they promise listeners “twice the music” by cutting all of its song times in half, to an average of two minutes. I should hate this idea, because you can't just chop a song in half and consider it the same song, but I don't. Earlier this year, I shared a story about tuning into 92.5 one Friday morning. I was driving my kids to school this morning and my daughter wanted to hear some 92.5. I put it on and they're not playing their typical top 40 songs but instead they're playing a big fat megamix by DJ Clamaxx (not sure I'm spelling that right - I need to Google this guy to get it right). It's the top 40 hits you'd expect from 92.5, Katy Perry, Kesha, Rihanna, Miley, etc., but just the fun parts and in brief spurts with old school tunes and a lot of 90s rap. It was actually pretty fun. So it got me thinking... why not do the mixes all the time? You get the catchy Miley refrain, then some Biggie mixed with the latest Kesha hit... With these pop songs, you don't need the entire 3.5 minutes... just throw the one verse and chorus in the mix! And of course, I've written many times about my fondness for Girl Talk, both Feed the Animals and All Day. For the unaware, Girl Talk is Gregg Gillis who mashes up tunes to create brilliant new tunes. You're lucky if you get 30 seconds of a tune with Girl Talk, but it's awesome. In this 87th episode, Mike chats with Andrew Walker about his move to The Fan 590, working with Mike Richards and then Greg Brady, replacing Jim Lang and lots of interesting Toronto sports radio stuff. This episode is exactly 1:00:02. Alan Cross is returning to 102.1 the Edge where he's spent the bulk of his radio career. You can hear him chat with me about his career in radio in episode 66 of my podcast. We haven't been told yet what his role will be on 102.1, but we're promised details in the fall. Alan Cross was let go as Program Director of the station in 2008 and completely fired from the station in 2011. I've been hearing his voice everywhere lately, as he narrates the videos at the Science of Rock exhibit at Ontario Science Centre and he voiced the Bob McCown propaganda film that aired last night on Sportsnet. His return to CFNY follows the return of Scot Turner and his Spirit of Radio Sundays and a re-embracing of 102.1's musical roots. This is a good thing. 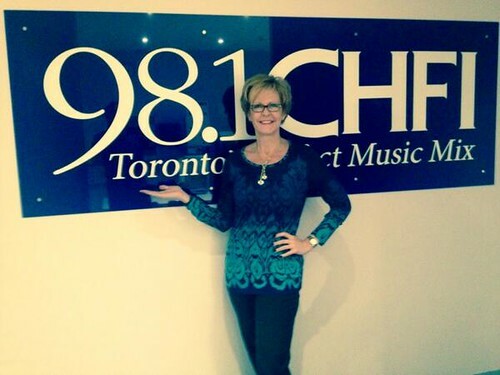 In this 84th episode, Mike chats with Erin Davis about getting fired and re-hired by CHFI, her classic Blue Jays songs, sleeping with the boss and lessons learned along the way. This episode is exactly 1:06:42. I will be sitting down next week with legendary broadcaster Erin Davis. She'll be dropping by to record an episode of my podcast Toronto Mike'd, and I get an entire hour to ask her anything I want. I know what questions I'll be asking her, but I'd love to know what you would ask her. What questions would you like me to ask Erin Davis? 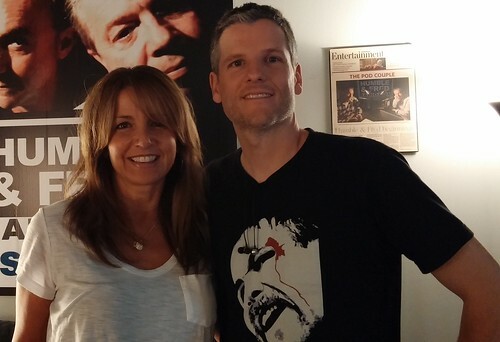 In this 79th episode, Mike chats with Toronto radio personality Barb DiGiulio about her 22 years on The Fan 590, why she was "restructured out" and what she's up to now. This episode is exactly 1:17:56. Next week, I'll be interviewing Barb DiGuilio on my podcast. Barb was on The Fan 590 from 1991 until late last year and might be best known for her role on Gord Stellick’s Big Show. I know what questions I'll be asking her, but I'd love to know what you would ask her. What questions would you like me to ask Barb DiGiulio? In this 76th episode, Mike and Elvis chat with Greg Brady, morning show host at The Fan 590. He talks about working in Detroit, working at AM640, his move to The Fan 590 and why it didn't work out with Jim Lang. This episode is exactly 1:25:20.